Writing the article “9 Habits of Highly Organized Genealogists” for Family Tree Magazine’s September 2014 issue gave me a chance to review the ways I organize my genealogy files. I asked myself: How can I improve my genealogy file organization? What documents do I have? What do I still need to find? How can I make it easier to find files? Here are a few things this article inspired me to do. 1. Establish a formal naming convention. My digital files are divided into folders for each surname I’m researching, but I noticed not all of the individual files are named the same way. I’m now in the process of deciding how to consistently name each file and then updating the names of past files. 2. Create a method to track documents found. 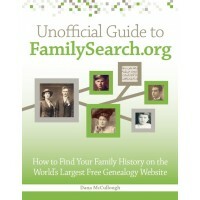 I’ve done a lot of searching for records on FamilySearch and Ancestry.com. I’ve requested and received ancestors’ death records from state vital records offices. I’ve collected old family photos and taken photos of tombstones at cemeteries. Recently, I’ve found myself having déjà vu, when I realize I’ve done the same online searches before. To avoid duplicating my efforts, I created a spreadsheet to track what records I have for each of the ancestors I’m researching. This document is also helping me figure out new research paths to fill in the gaps of documents I don’t yet have. 3. Scan and print documents. I keep both digital files and a three-ring research binder. I printed all the documents I had as digital files and put them in the three-ring binders. I scanned any print-only files I had and saved them on my computer. This way if my computer dies (or technology becomes obsolete) and I can’t retrieve the files, I’ll have a print copy. Also, if I misplace my research binder (or if I’m researching on the go) I’ll have the digital copies. I know there’s still more I can do to get super organized, but each step I take to get more organized is a step in the right direction for saving and sharing my family history research.